Shy Streaker He is an extension of the line bred-hybrid blend genetics of DCCI. Line bred 44 times to Texas Ranger. 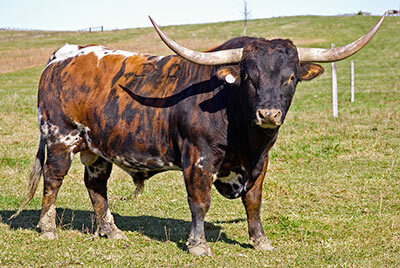 He sports the thick meat type which can't be found in most herds, especially with horn and awesome color. His bold brindle color is the most popular selling color in the Longhorn industry---selling beautiful cattle is what it is about. His calves have this same bold color pattern. 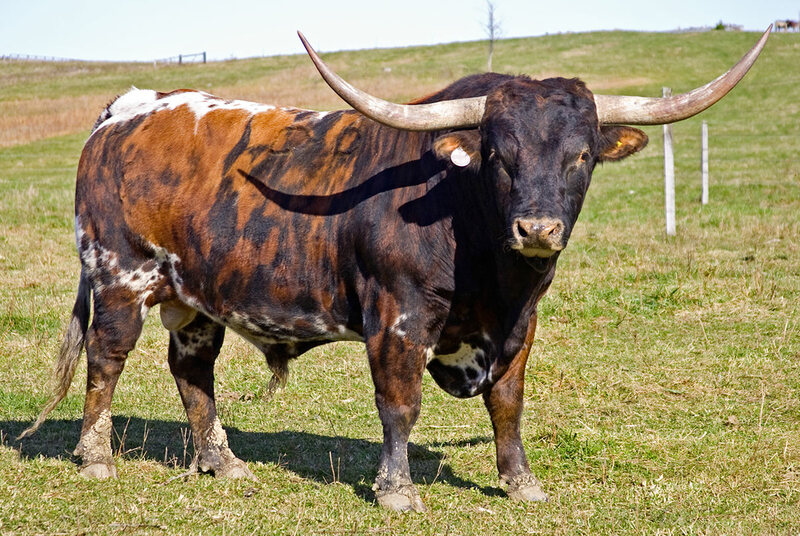 He may be the sire of the thickest meat type Longhorns of our day. For horn, put in perspective, he has more horn than Phenomenon at half the age.